We work with a lot of businesses throughout Markham and the Greater Toronto Area. It’s important that business owners realize the impact their online marketing has on their bottom line. The success happens online when you’re working with the latest Internet marketing strategies. Frankly, it can be hard to keep up. Something that works today may not work as well tomorrow. Businesses with an innovative online presence tend to separate themselves from the competition. An out-of-trade website will cost a business money. So, you need a new website, but where do you start? It begins with smart planning. Take a look at your current staff or external website design company. There are many things to take into account such as mobile friendly design, Search Engine Optimization (SEO) and e-commerce. You need to ensure you align yourself with people that help you have a web development and website design strategy that allows you to grow in each of these current technologies. It’s important to ask the right questions and find the right people that match you goals and budget. Would you hire someone to build your house that doesn’t know how to read blueprints? We didn’t think so, you should have the same expectation from the people working on your web development / website design. It’s important to break your new website’s development into workable chunks. This will allow you to have a realistic time line and will help prioritize the various elements. Typically, we’ll built a strategy that incorporates numerous phases. This will allow you to have a workable website without sacrificing long-term goals. After all, this is your business and you should be in the driver’s seat throughout the website development process. You need to determine how your company will manage your website. Will your team want the ability to update the site internally? There are many great solutions that provide this functionality, such as WordPress. Consistency is important online and a good website design company will utilize all your marketing materials such as branding, off-line documents, customer data and other elements to create a website that fits into your existing marketing. When it comes to making or designing a website, there are many options to choose from. There are some out-of-box solutions that can sometimes do the job. These solutions can work, but they’ll come with monthly fees and limited customization abilities. Another option is to hire a freelance web developer, this can help create custom development work. It’s important to come up with a realistic time-frame with a developer. Typically, the best solution is to work with a Toronto website design company. An experienced design and development firm will work with you to create professional work in a timely fashion. You’ll have the ability to work with multiple professionals, each with different skill sets. For example, our team features experts in design, development, content marketing, social media, SEO, mobile marketing and many other traits.It’s important to research and ask the right questions when speaking with a Markham website design company. Don’t be afraid to ask for testimonials from previous clients and don’t let buzzwords intimidate you. Now that you’ve started working with a development /website design firm it’s time to start setting some time-frames. It’s important that you have a full understanding about everything that’s going into your new website. Break your new website into chunks and establish when each of these tasks will be complete. Communication is a key component to planning a website redesign, but be sure that you and you development partner are on the same page. Make sure that everything is coming through as promised. Things sometimes happen during a new website build, but it’s important that everyone is on the same page. Test all parts of the site and look for bugs. Don’t just test with a computer, try different devices, operating systems and browsers. There are lots of great tools on the market that will test your site’s code for errors. If you’re building an e-commerce website, you’ll want to test every step of your payment process. Studying your analytics is key with any website launch. Watch for unusually high Bounce Rates or low Time of Site numbers. Don’t overreact too soon, you’ll want a decent amount of data before you start making decisions regarding your site’s effectiveness. Ideally, you’ll want to create a long term business relationship with your partnering website design and development company. As the year unfolds no doubt one of your business goals is to drive more traffic and attract more customers to your website. Fortunately, with the numerous social media platforms at your disposal you have many options to assist you with your goal. One of the most tried and true methods though, and one which has been in active use for over ten years, is the creation and maintenance of a blog. Since 2002 Insiteful Solutions has successfully assisted numerous clients with this popular form of online marketing. Blogs, which began appearing in the 1990’s but caught traction in the mid-aughts (awkward term for mid-2000’s), has the advantage over other social media platforms by providing the option of writing without limited word counts. 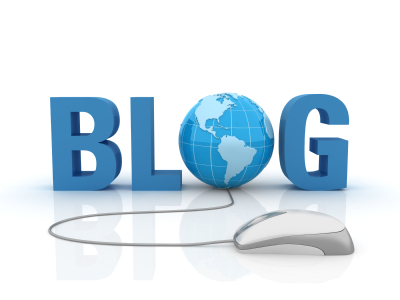 Blogs allow you to post and share up-to-date and useful information about your business with current and potential customers. While the blog will ‘live’ on your website, you can easily amplify your message by sharing the link to your post on your social media channels. You can tailor the introduction to your blog for each platform and include any corresponding images or videos. Linking all of your communication channels around your blog post enables you to drive visitors to your business website. Blogs with comment capability can also can start a valuable dialogue between you and current and/or potential customers. To assist your business in the increasingly competitive world of search engine ranking, blog posts can be an integral and cost-effective part of your strategy. To maximize this potential the content of your blog should be rich with relevant with key phrases and words that would connect a search engine to your business. Blog posts should be topical and targeted. Ideally, a person should be able to read a blog post in seven minutes. It is important to remember that blogs aren’t the domain of extensive white papers or case studies; rather they are meant to introduce new or re-visit topics of value to your customer. As all things associated with social media, blogs continue to evolve. Currently the ideal blog post is between 1200-2000 words. When writing and posting your blog don’t underestimate the power of the title. It is recommended that a blog title comprise of 8 to 12 words and does not exceed 70 characters (source: http://www.hubspot.com/ ). The title of your blog can then be modified for posting on your social media platforms. Twitter allows 140 characters per tweet, but for linking articles it is recommended you use 120 characters. Research on Facebook has found that a title with 12-14 characters generates the most ‘likes’. If you find the thought of writing a regular blog post too onerous or time consuming there are other options to keep your website full of fresh, relevant content. Top 10 lists are a quick and interesting way to fill a blog post. If there are certain areas of your business or industry news you wish to highlight you can create a ‘top ten’ list and occupy each section with one or two bullet points with information. Re-posting and commenting on recently published industry articles that relate to your business is a quick and easy way to occupy to your blog. An added bonus to this strategy is that it lets current and potential customers know that you are watching trends within your industry. Another option is to add a ‘feedback’ section where you can encourage your customers to share their opinions about the article; thus opening another line of communication and drawing more attention to your website. Many bloggers within similar industries have reciprocal arrangements where they will guest post for each other’s blogs. If you are more comfortable speaking about your business than writing about it, creating a short video is an option. Fortunately it is now simple enough to create a short video and include the link to your blog and social media channels. If this is your preferred method of communication you can also create a YouTube channel for your business. It’s important to note that to increase your search engine ranking you will require a text component to your video. You can either transcribe your video content or create a separate written introduction which mentions the key words and phrases associated with your business. An infographic is a great way of posting information about your company in an accessible visual manner. Built on the shoulders of bar graphs, infographics often contain interesting statistics and facts about a business in a bold branded fashion. Similar to short videos, search engines do not index graphics, so it is important to include text with key words and phrases associated with your business. If your budget allows, hiring a copywriter is always an option. It is important to find one who specializes in your industry and is open to collaborating with you. When starting work with a copywriter it is imperative to communicate the tone and voice you wish your blogs to convey. If you decide to open up a dialogue on a blog post written by a copywriter, it is highly recommended that someone within your business respond to customers’ questions or comments. Writing a blog post using one of the aforementioned methods is an effective and timely way of communicating with current or potential customers. By writing and keeping your business blog up-to -date you are connecting with your audience and sharing with them that your business is current with industry trends and can therefore deliver on its mission. 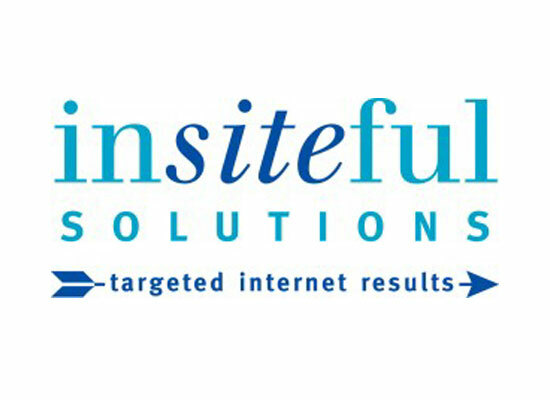 Insiteful Solutions are online results specialists. For over 14 years we have provided over 610 global companies with targeted strategies for increasing profitability. If you would like to discuss ways in which a regular blog would grow your business please contact us at: http://www.insitefulweb.com/contact-us or 905-947-8235.